This package includes two relaxing Florida Vacation Venues, this is how winter is supposed to be spent. The Plantation on Crystal River is an eco-friendly resort with plenty of diversions. The Villages is one of America’s Friendliest Retirement Communities. This trip provides you with a little sightseeing each day followed by free time to relax at night. Day 1 – Two Nights Lodging, Plantation on Crystal River – Arrive at the Plantation on Crystal River for a two night stay. This beautiful 50-year-old, 232 acre eco-friendly resort offering comfortable accommodations, a full service spa, and is surrounded by the natural springs of Kings Bay. This bay in Crystal River is one of the largest aquifers in the state and home to more than 400 West Indian manatees that migrate each year to the warmth of the springs. Dinner is included this evening at the hotel. Day 2 – Scenic River Cruise – Afternoon Resort Activities – This morning starts with a scenic narrated river cruise. Explore water in Kings Bay, which is home to over 41 named springs such as the crown jewel of the Crystal River National Wildlife refuge, Three Sisters Springs. These springs have been featured in both National Geographic and the Discovery Channel’s North America Series. The Bay is also home to the Florida West Indian manatee. Even in the summer there can be as many as 50 to 70 manatees in the bay, with winter time numbers being over 600 at times! The afternoon is yours to discover what activities the Plantation on Crystal River have to offer. There is a variety of fishing, boating, watersports, and nature-based experiences off and onshore. There is also a golf course and full-service spa available. Dinner will be included again this evening at the hotel’s restaurants. Day 3 – The Villages – Four Days of Golf Car Rental – This trip is a fun and affordable visit to America’s friendliest, and most active retirement community. For those who aren’t ready to retire here this is a wonderful vacation experience. Everything a mature adult could possibly want, need, or dream of doing is just a golf car ride away. On arrival, your entire group will take a trolley tour. It will provide you a thorough orientation to this city of over 100,000 (age 55+). From the trolley you will see and learn about each of the Town Squares, and about the requirements of residency, plus you’ll see the recreation opportunities available to you in the days to come. When the Trolley Tour ends you will pick up your Golf Car. One Golf Car per room. Golf Cars come standard with a roof, rain enclosure, headlights, directional signals and the 1st tank of gas free. The Villages have separate (safe from automobiles) golf car roads. Note: Golf Cars are gas powered with a range of about 200 miles. Rental requirements state that one person in every room must be over the age of 55, and one person per car must have a valid Driver’s License. Check into the TownePlace Suites by Marriott in The Villages for a four night stay. It is an extended stay hotel in Spanish Springs and is just a short walk or golf cart ride to the Spanish Springs Town Square where you will find shopping, dining, and free live entertainment each night of the year. Your rooms are one bedroom Suites that include a fully equipped kitchen, Free Internet and a Continental Breakfast. Your group can relax and soak up the Florida sun by the heated pool, hot tub or work out in the fitness center. Enjoy a free evening in the Villages. Cruise the streets, park at the Square and listen to live music from inside your cars; or dancing by the bandstand – with the Florida evening breezes blowing through your hair. In The Villages when the sun goes down the fun comes up. It will feel like those nights when as teenagers they cruised to the drive-in with the top down and radio on high. 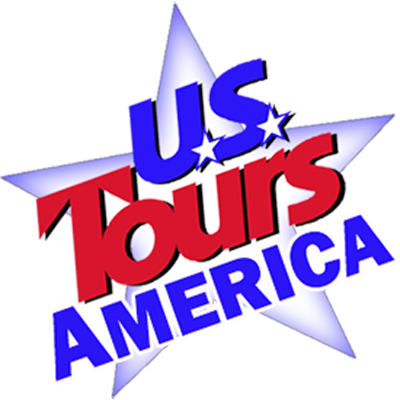 Day 4 – Silver Springs Nature’s Theme Park – Morning sightseeing is a group excursion onboard your motorcoach to Silver Springs Florida. This was one of Florida’s first tourist attractions. It is also one of the largest artesian springs in the world, and the park quickly became renowned for the Glass Bottom Boat tour. It provides you a unique vantage point and the experienced Tour Guides will give you an up-close and personal look at Florida’s amazingly diverse ecosystem! You have the best seats in the house for viewing wildlife, taking pictures, asking questions, and learning about the lore and history of Silver Springs! Returning to The Villages this afternoon you’ll discover that shopping and dining are an important part of the Villages lifestyle and there are literally hundreds of shops, boutiques, bistros, nationally known restaurants and stores to choose from scattered around the three Town Squares – all accessible by golf car! At each Square you find FREE, live music and dancing, modern movie theaters, and a colorful assortment of events and activities. Day 5 – Chasin’ A Dream Horse Farm – Appleton Museum of Art – The area around Ocala is known for Thoroughbred Horse Farms and this morning you travel past many enroute to your tour at “Chain’ A Dream.” This is a real broodmare foaling farm and they typically have new foals on the ground, every spring. With your guides narrating you will see mothers and their babies in the field and have photo opportunities. By the end of two hours you should have a good thoroughbred education, from breeding to training, if you still have questions there is a Q & A session at the end of the tour. Then you visit the Appleton Museum of Art in Ocala. They have a significant collection of European paintings, sculptures and decorative arts as well as a contemporary collection of post WWII work. Their entire collection contains some 18,000 objects. In addition to your tour, the docents will host an Art Session for you group. The list of possible classes is not available yet, but your travelers will have an opportunity to learn, to paint or draw and produce a take home piece that was a goof time in the making. Your evening in The Villages is again one of fun, food and music. Choose the Towne Square that has the music genre you prefer and enjoy yourself. Day 6 – Free Morning – Orange Blossom Opry Matinee – Enjoy a leisurely morning to explore The Villages on your own. This afternoon enjoy a matinee show at the “Orange Blossom Opry,” they present a variety of musical styles including Traditional Country, New Country, Bluegrass, Rock, Show Tunes, and their own special brand of humor. The 2020 schedule has not been announced. Following the show you’ll return to The Villages and choose dinner on your own from any of the exciting restaurants, then relax and enjoy live music at one the Town Squares. Day 7 – Depart for Home – After breakfast, depart for home.